Throughout the past couple of years of blogging I've shared this post through guest posts on other blogs but never here on my own home turf! To me knowing someone's favorite museums shows a lot about them. 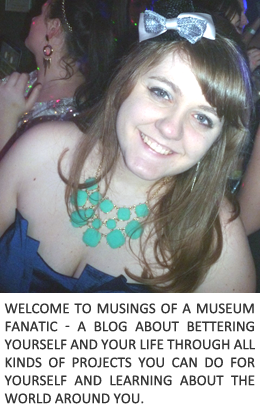 I decided to take you to my top three favorite museums I have ever visited. If you know me even a little bit (or have just stopped my blog too) number one is quite obvious ... The Field Museum! I was an intern/volunteer there for a little over three and a half years. Who knows maybe sometime someday I'll actually end up back there and they'll be paying me! The photo above is actually the view I see when I used to come in. It was so awesome to walk past that view! I love it every time. This is a photo of Stanley Field Hall. I took this one the first winter I was there waaaaay back in 2009. 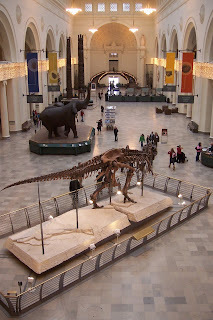 This is the coolest museum in the Chicago area and definitely gives you the most bang for you buck! My second favorite is Colonial Williamsburg. I know some people might consider it a cheat but it is actually considered an open air museum. 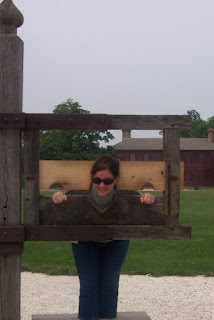 I visited CW way back in the summer of 2007 for my annual family reunion, one of my aunts and uncles lives in Williamsburg. My absolute favorite part of CW is the fact that the staff are in period dress and they are doing first person interpretation, acting as if he or she were an actual person from the era or culture he or she is representing. As someone who always always felt they were born in the wrong time period this has always appealed to me! 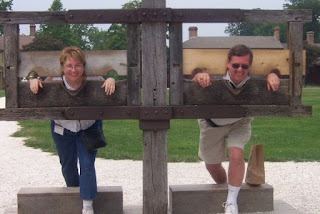 Here are some photos of my parents and I in the stocks! What can we say we're trouble makers. I can't wait to go back and visit again, there is so much we missed the first time around. They have historic hotels to stay at, two museums on the property and tons of events that go on throughout the year. Around Christmas time they have so many historical Christmas events going on it would be the perfect time to visit. 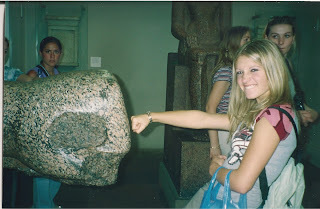 My final top 3 favorite museum I've ever visited was the British Museum I went as part of a school group EF Educational tour to London & Paris the summer of 2003 after I graduated high school. I had taken French for four years and was really going for Paris but fell in love with London and am dying to go back for a visit. The British Museum was amazing! It is a museum dedicated to human history and culture with over 8 million objects in it's collection. Check out A History of the World in 100 Objects, a very cool page I found playing around on the website. 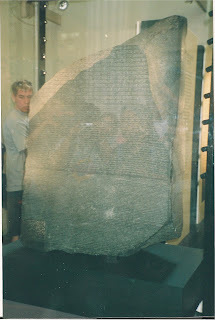 The photo to the right is of the Rosetta Stone. 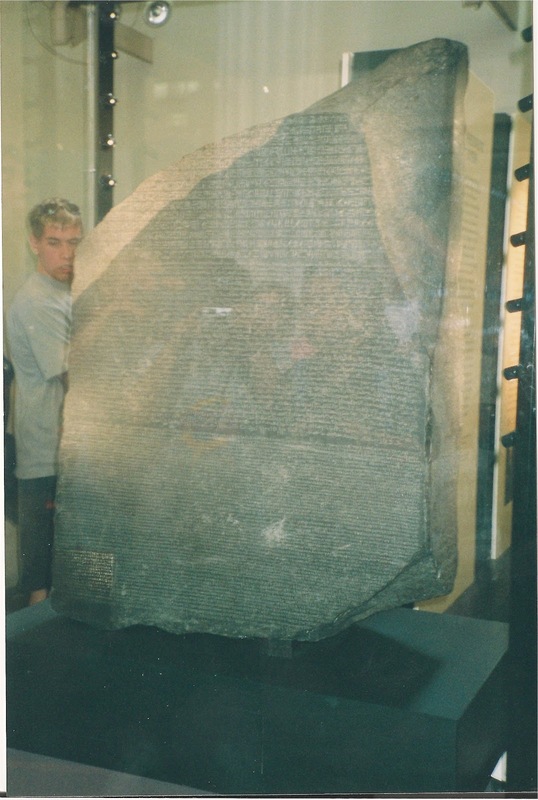 It is an amazing piece of history, it has three different languages written on it, Greek, Demotic script and Egyptian hieroglyphs. Since all three portions of script say pretty much the same thing this allowed Egyptian hieroglyphs to be translated, which had previously been impossible to do. The one below is of my good friend Rachel. Like typical high school students of course when you find something neat you have to act like a dork. Gotta give the first bump to the large fist of course. She was not actually touching the object though no worries!! 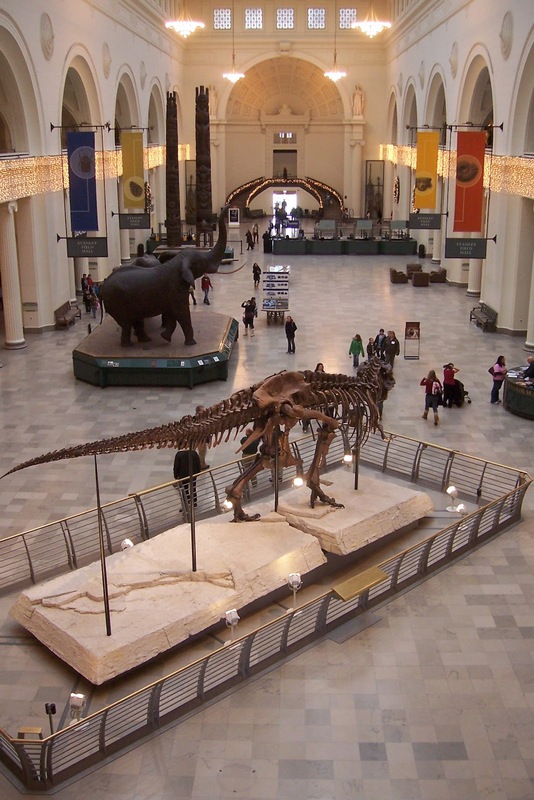 Here is a quick look at my top three favorite museums in the world .. I have a feeling there are some pretty amazing ones I have still to visit though! 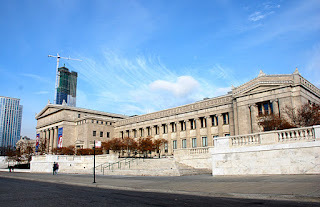 What's your all time favorite of favorites museum? !